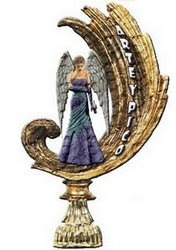 This lovely statute is called the "Arte y Pico" award which was created to be given to bloggers who inspire others with their creative energy and talents no matter whether it be in the form of writing, artwork, design, interesting material, or contributions to the blogger community. When a blogger receives this award it is considered a "special honor" and, once presented to you, it is to be passed on to at least 5 other bloggers who meet the criteria. This past week I was given this award not once but twice by two bloggers and to say that I am flattered would be an understatement. The first person to give me this award, MamaFlo of the aptly titled MamaFlo's Place, stated that her reason for presenting me with this honor was "...because she so tirelessly remembers the fallen heroes that keep our streets safe. Her blog has a little of everything and she has a lot of heart." Thank you so very much for those wonderful words though I may have to debate that whole "lot of heart" part as my ex-husband might argue with you that I didn't have one at all! In the meantime, while I was still basking in the glow of MamaFlo's praise, Morgen of Captured by Gravity re-awarded me with the same award so how cool is that? They like me! They really, really like me! 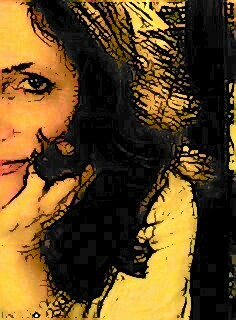 Jamie @ Duward Discussion - Jamie is an historian and her posts are well thought out and enlightening. She writes them from a historic standpoint and passes along little known and interesting facts about our world that will either make you sit up and say, "hey, I never knew that!" or "ah-ha, so that's where that comes from!" I always learn something new at Duward Discussion and to learn something new each day is a great thing. Travis @ Trav's Thoughts - If you've ever stopped by the den of the handsomest wolf in the blogosphere, then you already know what a creative and entertaining blog Travis writes. His review posts of dancing shows and American Idol are absolutely phenomenal and if you're a sports nut, he's got lots of good stuff for you, too. Add in some of his own beautiful poetry and this blog is a work of art unto itself. Debbie @ New England Lighthouse Treasures - I have always loved lighthouses and the history behind them (that must be the New Englander in me!) 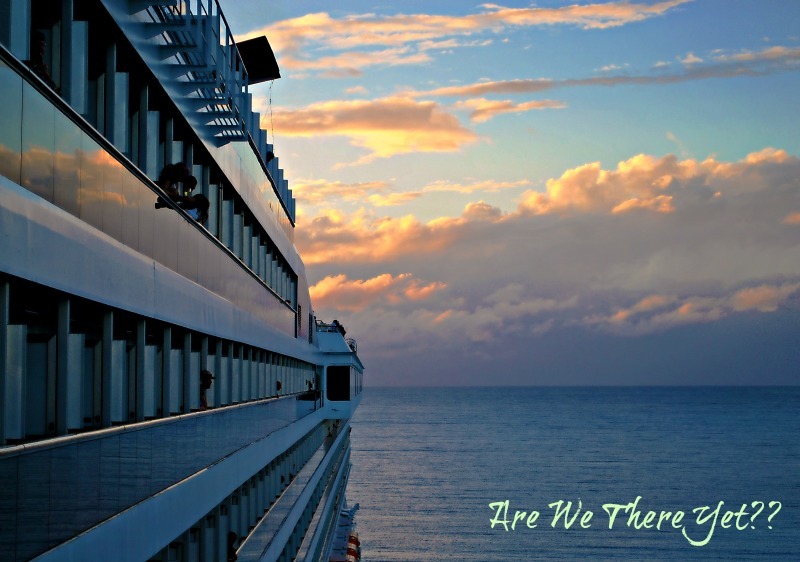 and at Debbie's blog you can read about all sorts of historic lighthouses, lighthouses that are vacation spots, or lighthouses that are even for sale should you have some disposable income sitting around and always wanted to be the keeper of your own lighthouse! Beautiful pictures and details accompany each post. Pinky @ Cheese In My Shoe - Pinky is not your conventional mom of toddlers ... Pinky has a hot pink iPod and beautiful purple hair! She writes from the heart and her posts are thought-provoking and heartwarming. She also makes beautiful aprons and posts some mouth-watering recipes complete with pictures that will leave your stomach growling! Jeni @ Down River Drivel - If I had to guess, I'd have to say that Jeni has a heart as big as Pennsylvania - the state she calls home. As a grandmother who two autistic children in the household you know she's got to have her hands full and yet she writes posts that could not only put War and Peace to shame for their length but for their content! Jeni's drivel is definitely down home and reading her blog is always like sitting down across from an old friend and having coffee while you gab and gab and gab and ... ! All of the above bloggers are tops for creativity, for interesting material, and for their contributions to the blogger community. If you haven't had the chance to read their blogs, may I suggest you check them out - I think you'll like what you find! Thank you again to MamaFlo and to Morgen for presenting me with this beautiful award; I hope that those I have bestowed it upon here will like it as much as I do! To read more information on this wonderful award please visit Arte y Pico, the blog where it originated. However, if you don't read Spanish you may need to use Babel Fish to translate the page like I did! Congratulations, Linda, on your award. It is beautiful, and you are very deserving of this award. I'm temporarily speechless, surprised, and honored by your prestigious award and excellent review! Hopefully, I can write my acceptance speech in a few days after my son's surgery which is scheduled for today. Congrats Linda! Very well deserved indeed. Enjoy your day! Thank you so much Linda. You certainly deserved the award and I shall try to name others that I know everyone will enjoy. P. S. Congratulations on your well deserved award (thoughts to be expanded upon tomorrow). You richly deserve this. Congratulations! You have encouraged me so much with blogging. My photography means so much to me, my self-expression, being myself. Thanks for the kind words! I'm glad you enjoy my place and that we can be friends! Congratulations, Duchess Linda, on getting this prestigious award from two people. You deserve it, that's for sure.